Whether you need a quick weekend trip, or a two week cruise, your dog or cat is more than welcome to stay at our boarding facility. 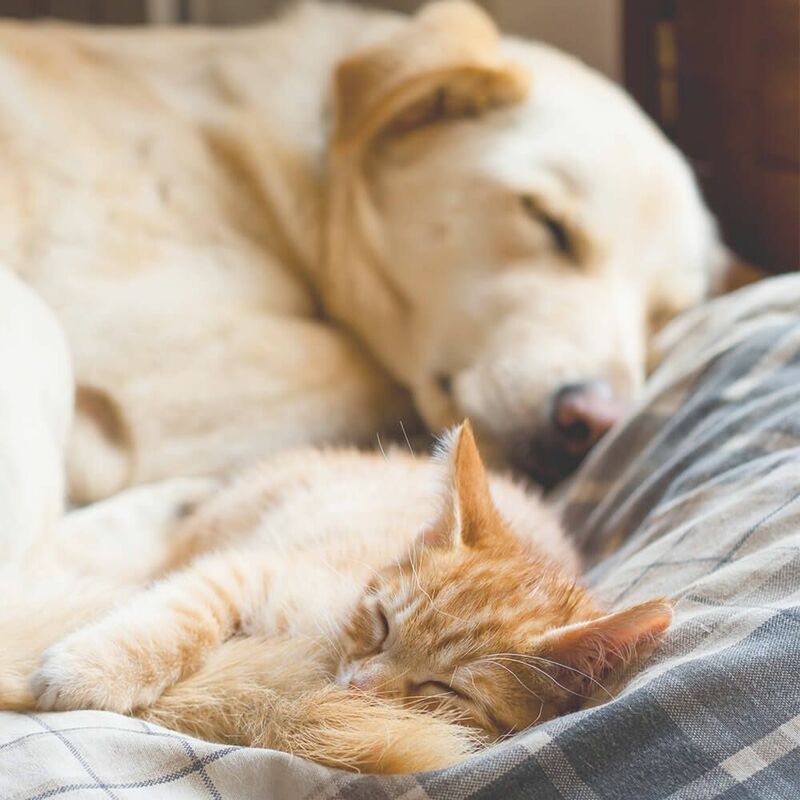 We offer a climate controlled environment as well as separate ‘living quarters’ for each of your pets. We do not allow interaction with other boarders for safety purposes. We also have an outdoor, enclosed area where we let your dog out twice daily to stretch out his or her legs and romp around. For dog and cat boarding, we require all vaccinations to be current. If dropping off for boarding, please allow yourself a little time to answer questions and fill out our boarding forms. 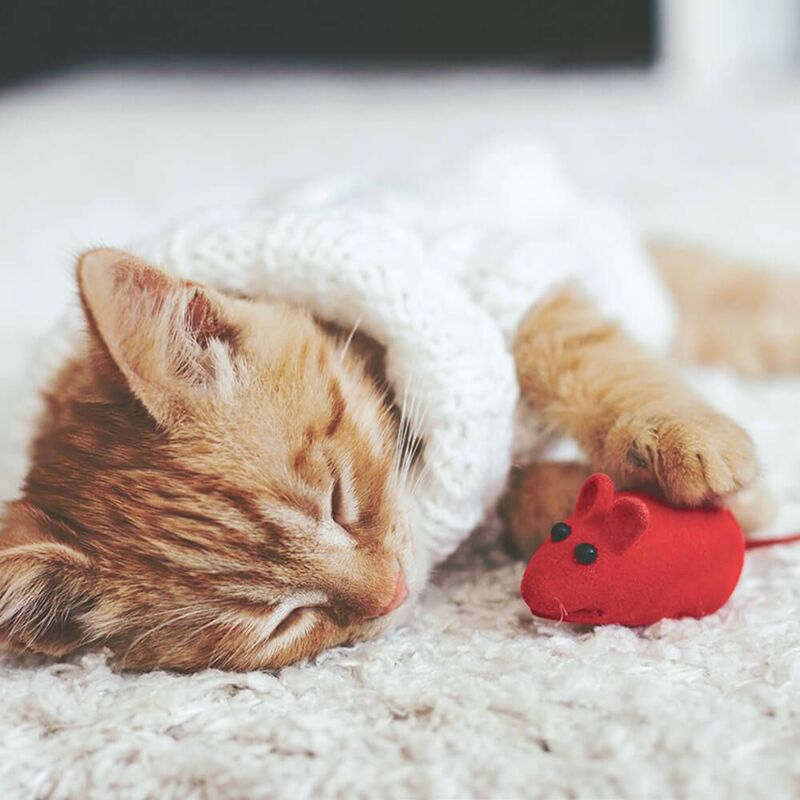 If your pet needs to be boarded with medications, there is an additional charge to administer medications. A form specifically for the medications needs to be filled out and all medications need to be brought in their original bottles. If your dog or cat is on special foods, please bring the food with you. We do feed Purina wet and dry but we always prefer the pets to be on their own food so that they do not develop stomach issues due to switching of foods. We provide blankets, beds and towels so you do not have to bring those with you. 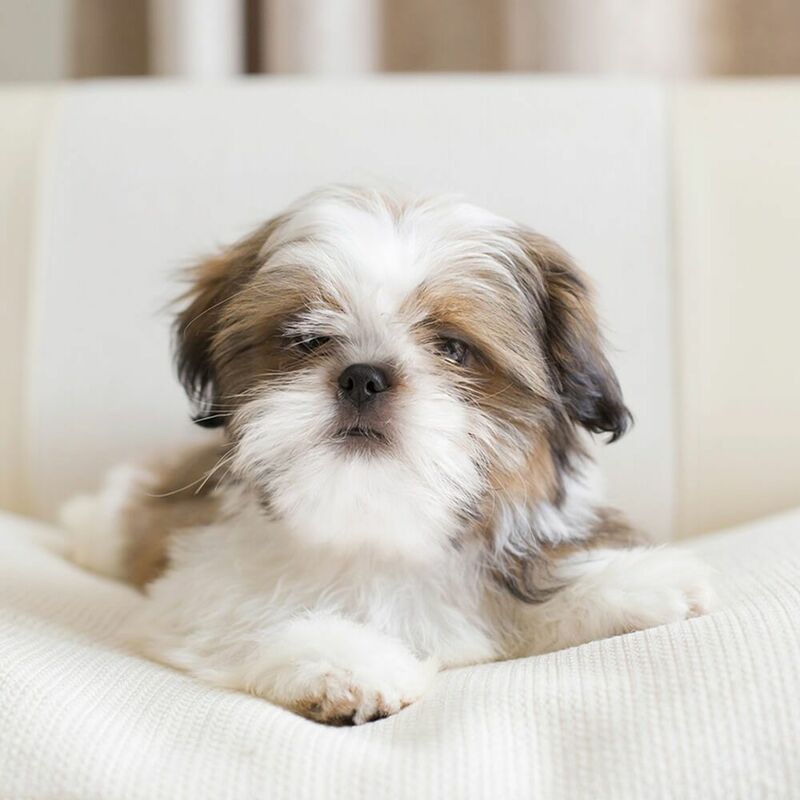 Your pet will look better than ever after a bath at our animal hospital. 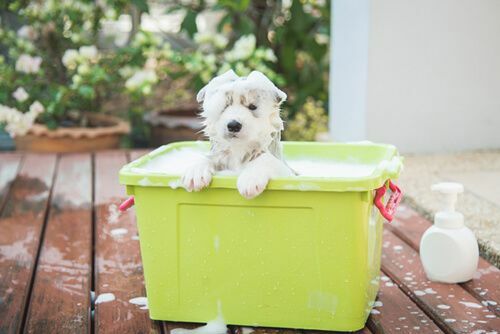 For a more lustrous look to your furry friend, we provide conditioning baths. Whether you are dropping off for the day for a bath or want a bath to be done the day you pick up from boarding, your pet will smell wonderful and be soft as silk! As we are not a grooming service, specialty haircuts are not something we can do here. But if you want to have a summer cut for your dog or a lion cut for your cat, that we can do!! 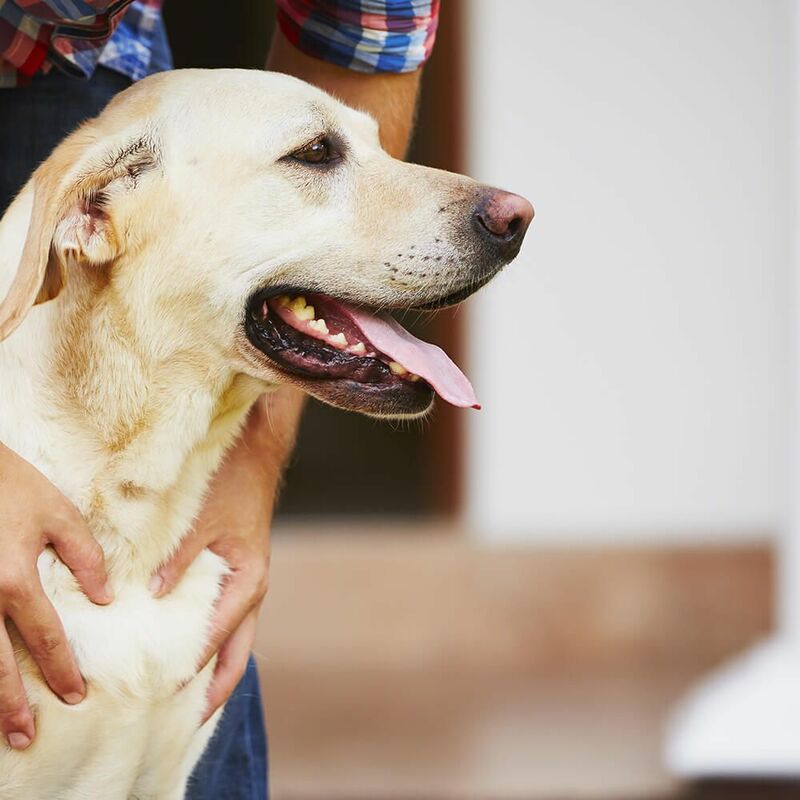 Schedule an appointment with our animal hospital for any of our pet care services.